Who would have thought in this digital age, that books containing collections of personal handwritten letters would be flying out of bookshops? Readers are buying Shaun Usher’s ‘Letters of Note’, a fabulous-looking collection of 100 letters written by people including Queen Elizabeth II, Iggy Pop, Gandhi and Einstein. We also love ‘To the Letter’, Simon Garfield’s fascinating trawl through the history of letter-writing from the Romans to the present day. And then there’s a ripple of excitement at the discovery of 13 unpublished letters written by Mary Shelley, the author of ‘Frankenstein’. 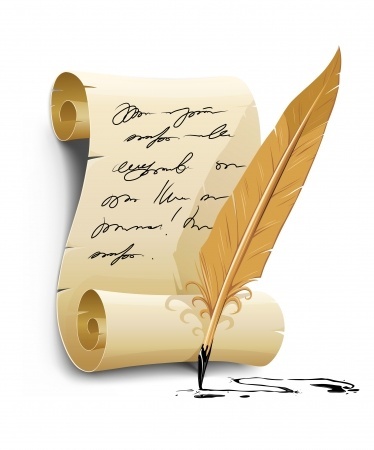 Writing a letter by hand is very different from sending an email, text or tweet. Funnily enough, it allows engage with the person you are writing to in a more immediate way than if you were using an instant means of communication. Each stage of the process requires you to focus on the individual, their personality and character and their place in your world and your life. Writing a personal letter to someone, even if it’s just a brief note, creates a vibrant and intimate connection. The physical act of writing someone’s name brings that person to your mind. You can write on anything, a sheet of paper torn off a pad, properly thick and creamy writing paper, a notecard, a greetings card. What you choose to write on reflects the context and the circumstances and says something about your relationship with the other person. If you use a card with a picture and a blank space for your own message, your choice of card and image says something about how your view of the person you are writing to and your understanding of them. If someone loves gardening, for example, you could choose a flower or plant motif. Pictures of cakes and teapots or clinking glasses could reflect the activities you enjoy together. Abstract patterns, in suitable colours if you know their taste, are a safe bet, as are art reproductions. Here’s a tip – buy nice cards when you see them. If you like the postcards on sale at an art exhibition, buy a couple extra to use at a later date. It’s nice to share something you enjoy. You are much more likely to write someone a note if you already have the material. You can write with anything. The choice is vast. Pencil, ballpoint, gel pen, fountain pen, calligraphic pen, rollerball, fibre tip, those pens which smell flowery or fruity (yes, you do know them, especially if you were or are a little girl). What if your handwriting is awful? Who cares? Isn’t everyone’s? Unlike other forms of communication, letters are physical. When you share a letter, you are connected through touch. You and the person who wrote to you have touched the same sheet of paper. Romantic messages and love letters can be folded and kept close to the heart. They can be kissed. Listen to Ketty Lester singing Love Letters. Hear the intensity as she says ‘And I kiss the name that you write.’ You can’t do that with a text message. The smudges and crossings out and little signs and drawings on a letter tell their own story. As Richard Thompson tells us, a Tear-stained Letter can have a potent effect. And in Hank Thompson’s Wild Side of Life, his plaintive ‘You wouldn’t read my letter if I wrote you’ would lose its poignancy if it were ‘my text’ or ‘my email’ or ‘my SMS’. A discarded or torn-up letter, or one returned to sender, tells a stronger story than a deleted message. The act of destruction is so much more deliberate – as is the act of keeping. Letters can be kept and pored over. They can be shared round and passed on through generations. They can be potent reminders of people we have lost. You can write about anything. A note of thanks, an arrangement, a recommendation, a bit of news or gossip, congratulations, condolences, an apology – put it in writing.